Even for the ones with faintest interest in sports, Saina Nehwal is not an unheard name. The 28-year-old badminton player has achieved enough for herself and the country to be acknowledged at the first go. Born on 17 March 1990 at Hisar in Haryana, Saina is a second generation badminton player in her family. She obtained formal learning from CSS campus school,Hisar and completed her 12th from St. Ann’s College, Hyderabad. Her father, PhD in agricultural science, worked at Chaudhary Charan Singh Haryana Agricultural University. Her mother, Usha Rani, was a state level badminton player in Haryana. Nehwal was initially trained in karate. After her father got transferred to Hyderabad, she faced difficulties in mixing up with the local kids due to language barriers. It is then that her mother started playing badminton with her; a humble beginning that would magnify several folds thereupon. Saina eventually went on to fulfill her mother’s unattained dream of becoming a national level badminton champion. In fact, she made it larger! The right-handed shuttler is accredited to have brought back the popularity of the sport that had been lying dead post Prakash Padukone’s retirement. Nehwal, formally trained at the Pullela Gopichand Academy under S. M. Arif became the first Indian woman badminton player to attain the world number one.In 2009, the darling daughter of India created history yet again by winning the prestigious Asian Satellite Badminton tournament twice. Saina first claimed her territory in the world of badminton when she helped the Indian Badminton Team win the Bronze medal at the 2006 Commonwealth Games in Melbourne. She also won the Silver medal in the Girls Singles event, World Junior Championship that year.2008 took her yet a step further and Saina won 3 tournaments: Gold in the Girls’ Singles event at the World Junior Championship, Commonwealth Youth Games as well as the Chinese Taipei Grand Prix Gold in the Women’s Singles event. Her performance geared to her finest performance in 2010 and Saina performed akin nothing short of unstoppable. 2010 witnessed Nehwal celebrating 5 international wins. She won the India Open Grand Prix Gold, Indonesia Open Super Series, Singapore Open Super Series and the Hong Kong Open Super Series in 2010. She also kissed a gold medal at the 2010 Commonwealth Games, held in India. Winning had become a habitual routine for Saina Nehwal and she went on to own back to back tournaments be it the Swiss Open, Thailand Open, Indonesia Open, Denmark Open or the French Badminton Open. However, her characteristic firsts got hindered by a bronze in the 2012 London Olympics. Post her convalescence period, Nehwal returned to the court in 2014 and won the India Grand Prix Gold, The Star Australian Badminton Open and the Thaihot China Open. She also won Syed Modi International Badminton Championship and the 2015 India Open the subsequent year. Saina’s contribution in dexterous representation of her country in the world scale has repeatedly been recognized by the government. 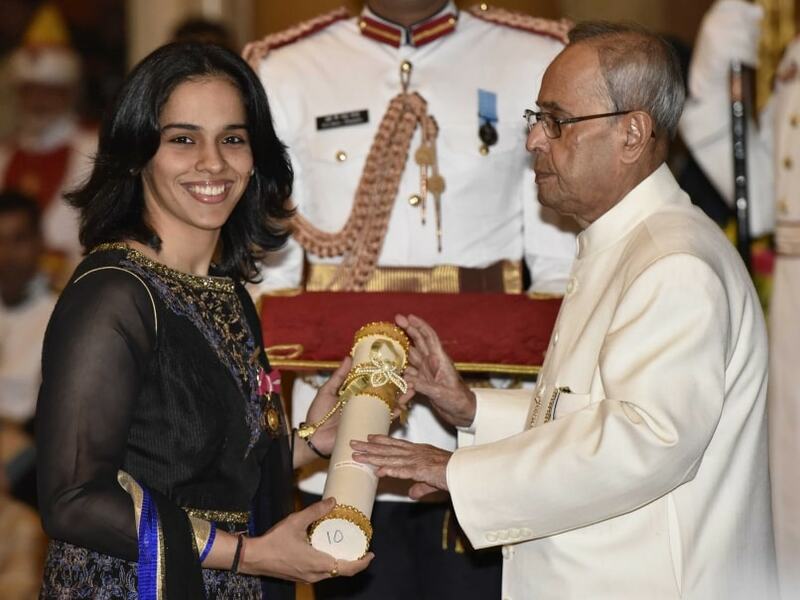 This is why beside her ever shining medals, Saina’s showcase have been graced with some of the most prestigious awards of the nation. Nehwal is the proud owner of the Arjuna Award for Badminton, Padma Shri and Rajiv Gandhi Khel Ratna award. To add to that, she was also awarded the Padma Bhushan in 2016 for her outstanding performance in the sport. Nehwal has always admitted to her parent’s indescribable contribution in her career. Winning for her then becomes a victory of the tireless effort of the Nehwal family. This is probably why her medals shine brighter around her parents’s neck! If your interests have ticked off and you wish to know about Saina Nehwal, make sure you check her profile at https://www.xpert.tv/profile/saina-nehwal/. Xpert helps direct all your questions to her or any celebrated individual of your choice. A great sports personality who made us proud. Womens are the strength of India. Very informative and crisp writing.